The Evoque crossover has been around since 2011, which is a quite long period. This means that Land Rover needs to bring the new generation model pretty soon. 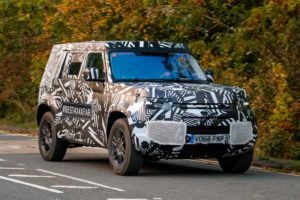 Now, we were pretty sure that the manufacturer’s smallest SUV should arrive before the end of this year, but the latest reports suggest that it won’t be ready before mid-2018. 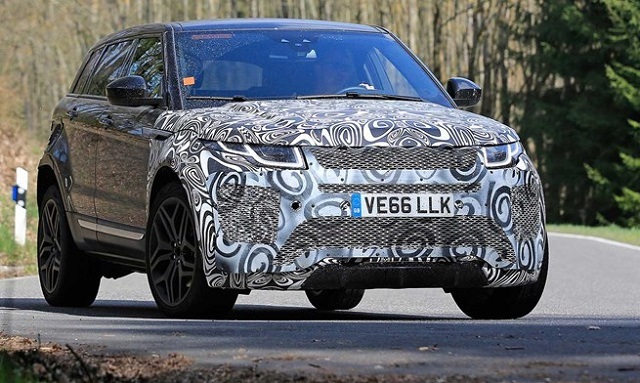 This isn’t the first time we see a testing mule of the 2019 Range Rover Evoque, yet this one gives us a far better idea how it will look the popular SUV. 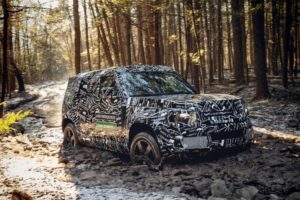 More precisely, the testing model hides just the front end styling, which means that the carmaker hasn’t started with the redesign of the rear end. Anyway, the new face appears to have a pair of completely new headlights and a redesigned grille. Below, the redesigned and more massive bumper sports some new intakes, which might serve to cool off a mighty mill. 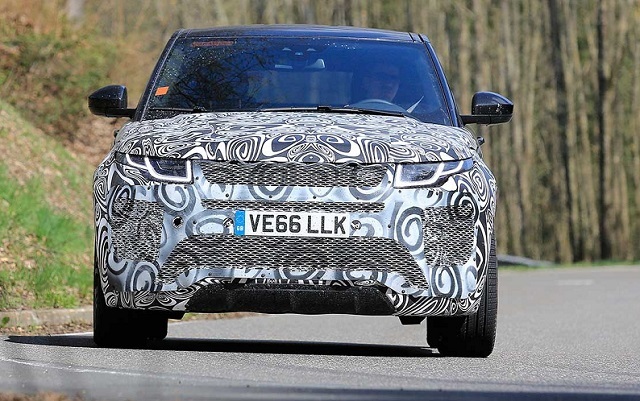 This might be a signal for the 2019 Evoque SVR, or at least we think so. Judging by the shots, the dimensions of the second generation Range Rover Evoque will stay unchanged. Moreover, the crossover will use the same LR-MS platform as for today’s model. Okay, it’s not the same but a bit updated architecture, which is going to use more lightweight materials. Under the hood, the fully redesigned SUV will most likely pack a JLR’s new 2.0-liter turbocharged engine. The unit can develop from 200 to 250 horsepower, and what’s more important, the carmaker will most probably offer two different outputs. Of course, this won’t be the only option as the carmaker plans to add either a plug-in hybrid or a completely electric drivetrain. As for the SVR version, well we have to admit that there is nothing official yet, but it’s quite possible. If not, you will have to satisfy with a supercharged 3.0-liter V-6 that’s capable of producing 380 horsepower. At the end, the manufacturer won’t forget to offer an oil-burner model that will use an 180-hp 2.0-liter turbodiesel four. No matter which one engine you choose, it will be paired with an eight-speed automatic transmission. Like we said, the second generation Range Rover Evoque will make its debut in the second half of 2018. However, it won’t hit the showrooms before early 2019. The price should be around $42,000.